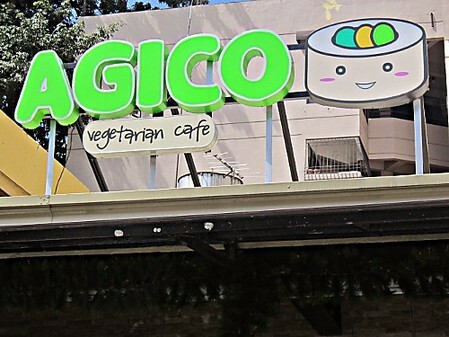 Agico Vegetarian Cafe: What Is This Sorcery? 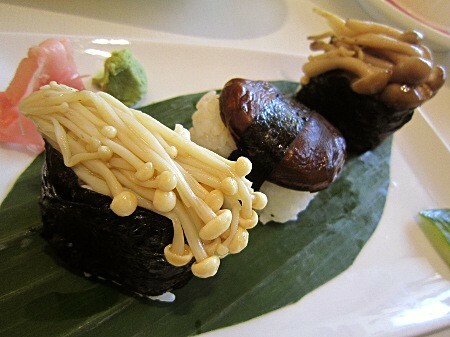 That was the first thing I blurted out upon taking my first bite of fish tausi at Agico Vegetarian Cafe. I found it (almost) impossible to believe that something that looked and tasted exactly like fish—minus the aftertaste—was never actually fish to begin with. That is the way almost everything is at Agico; things are not what they seem to be, but they are delicious—and good for your health—anyway. Agico is owned by a family of vegetarians with a soft spot for our animal friends. “I started young,” Grizel Co shares. “My Mom cooks really well, so it’s easy to stick to it.” Her mother’s excellent cooking skills play a big role in the Co family’s vegetarian way of living. When Grizel was younger, her baon would always be a matter of interest among her friends because everything was made from healthier substitutes for the real thing. The Co family had been thinking of putting up a restaurant for a long time. 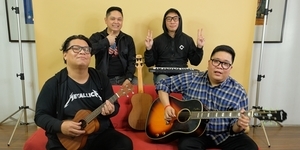 When a place in San Juan that was close to their home and other areas of enterprise opened up, they jumped at the chance to bring Grizel’s mother’s home cooking to the rest of Metro Manila. The family chose to go with Japanese cuisine because it is, in general, healthier than most food. Reception has been surprisingly good. Grizel and her family are pleased to know that their recipes have helped people in becoming more open to vegetarian meals. I myself was excited to try out their dishes because I had never really experienced eating a full-course Japanese vegetarian meal until our visit to Agico. 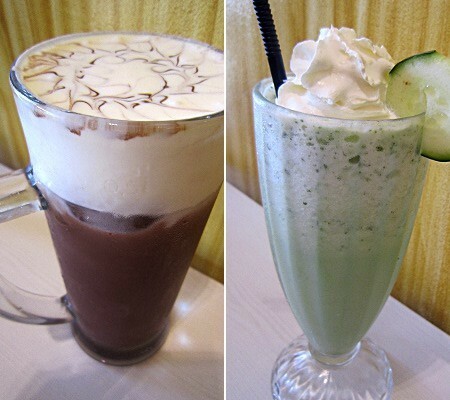 For drinks, we had Rock Salt and Cheese with Cocoa (P100) and a Cucumber and Wasabi (no, seriously) smoothie (P130). 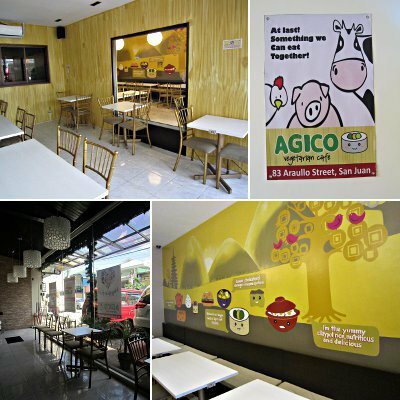 One thing that must be known to customers is that Agico uses soya milk instead of cow's milk, so expect your desserts and milk tea drinks to have a slightly different taste. I had no complaints about my rock salt and cheese drink; it was as perfect as it could have possibly been. The wasabi smoothie, though, was something else. Don’t worry too much about it because it tastes friendlier than it seems—cool and very refreshing. To start our meal, we had their Butayaki Maki (P248) and my absolute favorite, their best-selling vegetarian Takoyaki (P158). 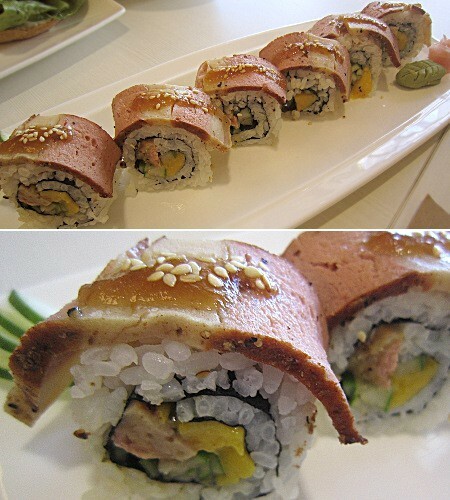 The Butayaki Maki comes with the typical seaweed, mango and cucumber filling, but comes with Agico’s vegetarian liempo as a topping. The veggie liempo can be a little strange-tasting to first-time customers; it reminds me a little of luncheon meat, so I think it is something people can get to appreciate more over time. 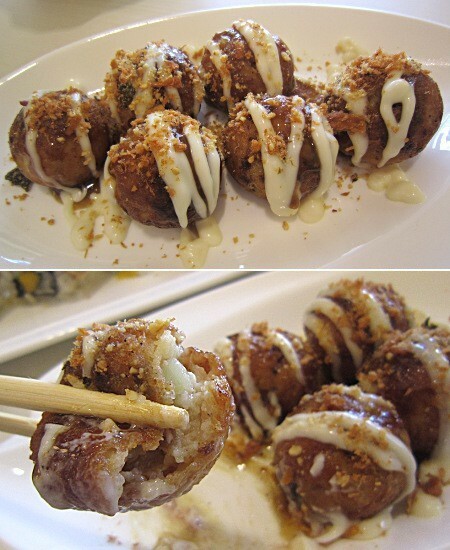 The takoyaki, on another note, is hands-down the best takoyaki I’ve ever had. I didn’t even care that it lacked the crunchy octopus because it is so delicious that it can do without any other ingredient. Grizel told us that this particular appetizer sits really well with the kids. 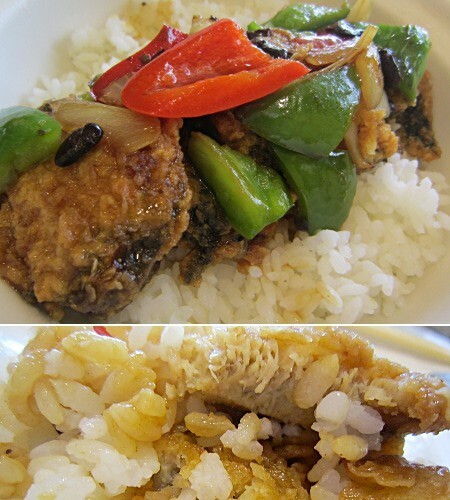 The Fish With Tausi (P246), another popular restaurant choice, deserves its own medal. Its qualities are so similar to that of real fish that it is more than enough to make a seafood lover happy. This dish is light, less salty than a non-vegetarian version would play out and lacks that fishy taste that many people want to wash out after a meal. I kept asking Grizel again and again if she was sure that this wasn’t fish because it is the most convincing doppelganger I have tasted. 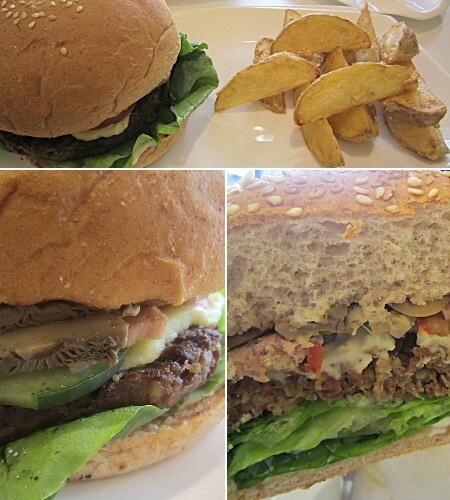 To accompany this, we also tried the Bacon Mushroom Burger (P276). This burger’s faux bacon and faux beef helped me understand how some people can live without meat. Of course, the substitutes are not really comparable to the real things (except for that “fish”), but Agico cooks their food so well that one may be convinced to turn the other cheek. Some other delicious things customers can try are the Inari Sushi (P126), Mix Mushroom Sushi (P156), Crispy California Maki (P238) and the Chicken Teriyakidon (P246). 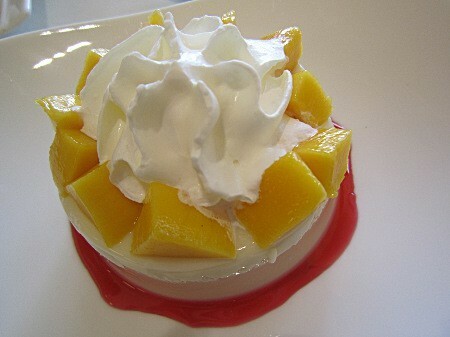 Because they had run out of my favorite Green Tea Mochi Ice Cream (P126), we decided on the soya milk-based Panacotta with mangoes (P128) for our dessert. Aside from the usual taste one may associate with full-cream panacottas, Agico’s version differs in the sense that it is lighter and slightly more gelatinous---kind of like no-bake cheesecake versus oven-bake cheesecake, if you think about it. It’s always good to have healthier alternatives to some ingredients that help us pack on the carbs. 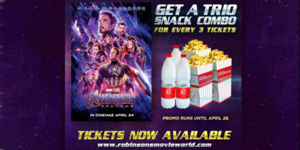 As people become more and more health-conscious (or environmentally aware, in the case of some others), the need for establishments that offer delicious food to cater to their needs steadily arises. Agico Vegetarian Cafe is here to remind us that fish needn’t necessarily be fish to appeal to the general public.